The kick from the chili pepper salt on the rim of the glass will have everyone cheering "Olé!" 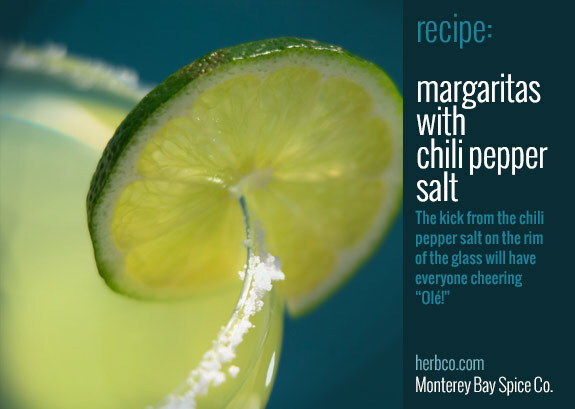 Dip each cocktail glass into lime juice, followed by a dip in the blended salt. Shake the tequila, triple sec and lime juice with ice. Strain into prepared glasses and serve.